 We have a 24 hour skip booking service so we can plan to meet growers needs like Daniel and Carl Harris. The Harris family farm in Bangalow, northern NSW, is renowned throughout the region for its meticulously maintained macadamia orchard, rainforest regeneration projects, and commitment to clean, green production. 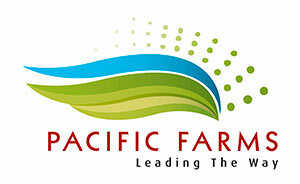 They use Pacific Farms industry leading Farm Services and have been supplying Pacific Farms for over 10 Years. 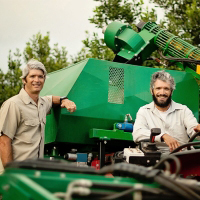 Brothers Daniel and Carl and their father Rex run the 200 acre Piccadilly Park like a model macadamia farm. They aim to cultivate in a “green” way, while adopting all the latest methods to improve yields from their 17,500-odd macadamia trees. They encourage wildlife on the farm by restoring wetlands, planting and regenerating rainforest areas throughout their farm. The Harris’s have planted 60,000 rainforest trees (140 different species) on their property, which has dramatically increased the biodiversity on the farm and resulted in an explosion of birdlife (more than 40 species), native fauna (including wallabies, echidnas and wedge-tailed eagles) and other animals (like turtles, ducks and frogs). Pests are controlled in as eco-friendly way as possible: micro bat and native barn owl boxes and habitats stud the orchard area to help keep rats (who can consume the valuable nut) away. A stroll through the farm will also uncover a selection of eagle nests and duck pontoons and nesting boxes. In addition, a native wasp is used to limit damage by other pests and nut borers. The latter’s introduction has made a huge difference to the industry, and exemplifies how Australia leads the way in macadamia cultivation and production research & development. To control soil erosion the Harris’s have applied organic products to stimulate soil fungi and overlaid it with smother grass turf. Such improvements have combined to produce a 10-fold growth in production over the past 20 years. Daniel fell in love with the region during regular surf trips in the 1990s and eventually convinced his brother and father to move to Bangalow in 1998, where they converted a cattle property into the model and inspirational macadamia farm it is today.